The egg waffle has quickly become an obsession. A year ago, you’d be hard-pressed to find an egg waffle—a Hong Kong street food snack, also called a bubble waffle or egg puff, that looks like the love child of bubble wrap and pancake batter. Now, egg waffles have popped up all over town, largely taking the place of waffle cones (though far fluffier, more like an eggy Belgian waffle) in elaborate ice cream creations. 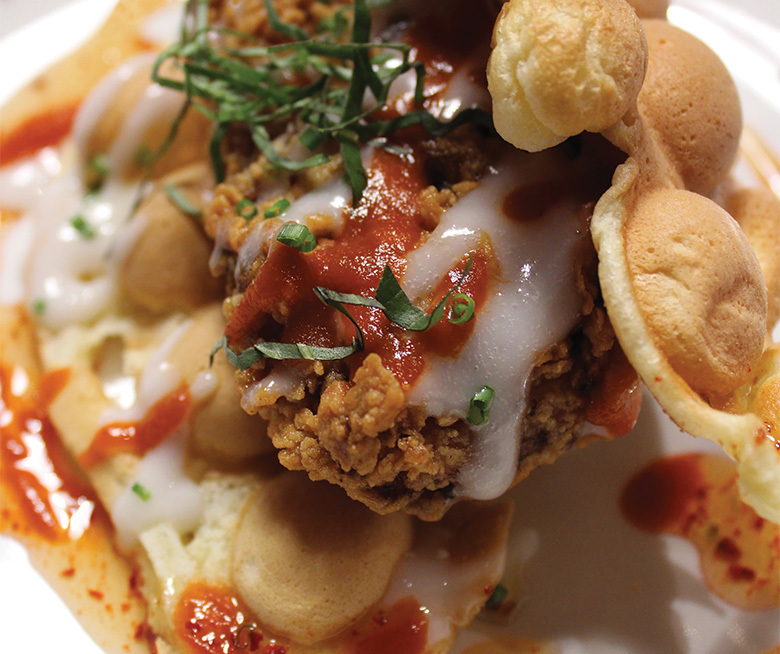 But on Super Six’s brunch menu, executive chef Mario Hevia and pastry chef Kim Mahar are pairing the egg waffle (called a Hong Kong cake on their menu) with crackly fried chicken, then drizzling the whole thing in Sriracha, hot honey and coconut syrup. Just when I thought I was over chicken and waffles. Columbia City, 3714 S Hudson St.